← Mornings musings; pasteries, coffee and public grief. A question on our facebook page this morning prompted me to add descriptions to all the photos in our ‘Action at Seba Dizajn album, something I had been meaning to do for sometime – thanks Bryce for your question. Part way through I realised I was writing a short jewellery making story and have decided to share it here in a little more detail. The photo to the left was taken in our store (Seba Dizajn), in Croatia earlier this summer. 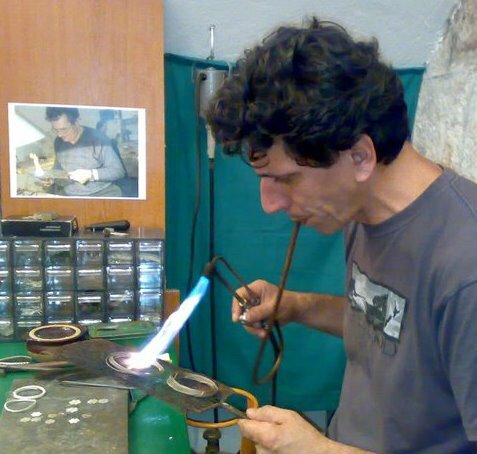 This photo shows Adolf Seba (aka Doka) heating silver coils, when silver is heated it becomes softer and easier to work with. 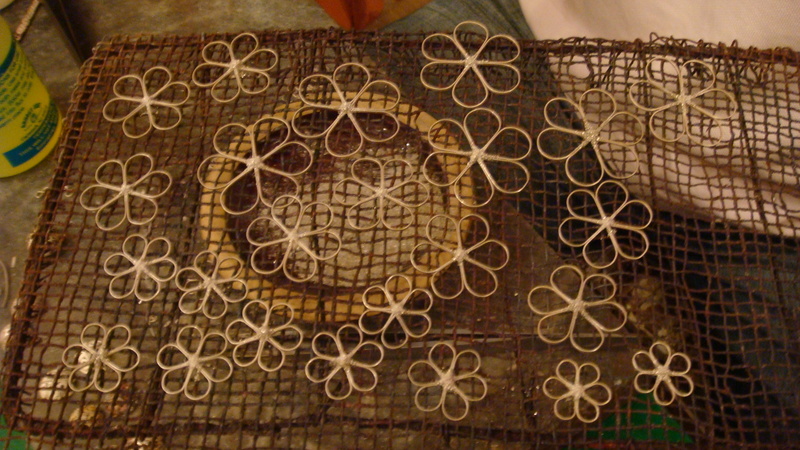 The floral shaped framework is then soldered together. 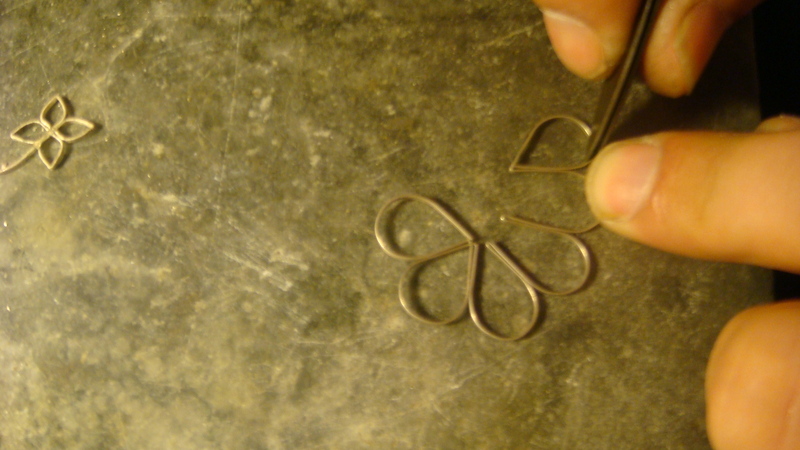 A very fine silver wire is used to create the various patterns seen in our beads – each is unique, although a popular pattern can be repeated and we often create a pair of beads to be used for earrings. 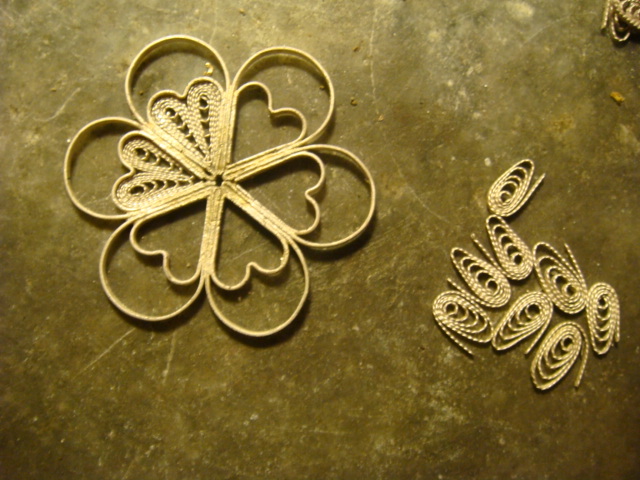 Another step closer – these photos show work on a bespoke bead, our customer requested a heart to feature in her bead. I hope you are beginning to see some of the work that goes into creating each of our beads, this is going to be a four part post. Remember you can subscribe to our blog in the box at the top right. And if you don’t want to wait for the next installment head over to our facebook page where you can see these photos and more in our ‘Action at Seba Dizajn’ Album – please hit the LIKE button while you are there. If you have any questions about our jewellery making please leave them below and I will reply to you. Visit our website www.sebasilver.com to see more of our filigree jewellery. 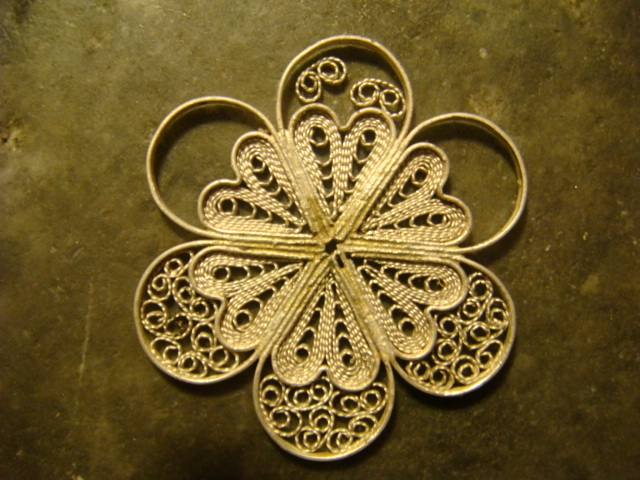 This entry was posted in Jewellery and tagged Croatia, jewellery making, making filigree bead, Seba Dizajn, silver bead. Bookmark the permalink. Thanks Madeline, it really is an amazing and detailed process and it is nice to hear your feedback. Nice that Doka chose to carry on the family tradition and help keep these skills alive too. it looks so lighthearted, natural and yet perfect. I now have such a better appreciation of the delicate, filigreed-pieces I have, thanks to your series of posts, Ruth. Thanks Tricia, I enjoy being able to share the process and increase the understanding of how all those tiny tiny pieces come together. I remain in awe of the process, the more I learn and help the more I realise how much time goes into each piece. I’m curious – at what age did your husband start learning how to do filigree work? He grew up ‘playing’ with the silver, making a plane or train among other things 🙂 After he finished high school he started the ‘serious learning’ with his Dad. How interesting; it’s so nice to know that such tradition and skill is being passed down from generation to generation. It’d be fascinating to see the process in person someday! Demonstrations in store …. another reason to come to Korcula!